Had 11 nights in one of Rob’s VW camper vans. Had an amazing holiday. Would highly recommend. Rob was very helpful before the trip and gave us some great ideas for places to visit and stay which was great. 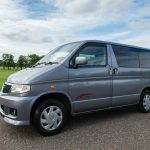 The collection of the van was quick and easy and when we returned the van our deposit was returned quickly. The van itself was amazing. Very clean with everything we needed. Thanks again Rob. My son and I are just back from a 4 day trip to Islay in the campervan Orla. 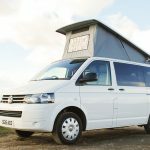 this was our first trip in a campervan it was brilliant, certain it wont be our last, Rob was great to deal with very helpful and considerate. 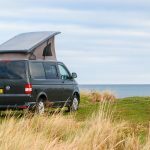 would highly recommend the Orla van and Rob’s Edinburgh Campervans. We’ll be back. We are enjoying the last evening of our trip at the Beehive Inn in Edinburgh and are looking forward for the last night in the lovely little Bongo! We’ve had wonderful holidays visiting Oban, Glencoe, Fort William, Mallaig, Glen Nevis, Strathcarron, Applecross, Torridon, Gairloch, Inverewe and Blair Atoll. Wester Ross is just marvellous and next time we will go to the north. Thank you so much for the Bongo and all the little details as the mobile loading cables and the nice vine glasses, amazing service! 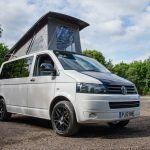 We spent a really nice time with your campervan, it is so well-organised and really comfortable to drive (and sleep!). Scotland is such a beautiful country and the weather was amazing. It won’t be our last time here! 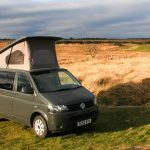 The campervan was super comfortable on all aspects and we could see large part of Scotland in it. Everything was incredible, and Rob was super attentive and kind to us before, during and after the trip. We highly recommend it! 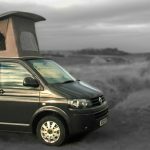 Hiring a VW campervan from Rob was a pleasure from start to finish. Booking could not have been easier with Rob guiding me though each step and answering any queries with lightning communication. On the day of pick up Rob had the van ready at the appointed time and it was in immaculate condition. The van was exactly as described. Rob invested time making sure I was absolutely comfortable with all aspects of the vans operation. There were no hitches at all during our trip. Driving the van was a pleasure and getting it ready for use overnight simple and quick. Four comfortable nights were spent in the stunning Hebrides. On returning the van Rob dealt quickly and efficiently with all the necessary paper work and checks. I’d thoroughly recommend using Rob for hiring a campervan and will be returning to him next time I need one. Cheers Rob.